Construction will begin soon on the third Aurora class mid power booster. Officially designated as X5-03, the new rocket will be called “Big Red II”. Big Red II will be named after the Artemis X2 booster “Big Red”, which was lost in a tree on July 3rd of last year. Artemis Booster #1, “Big Red”. When Big Red II goes into service, Aurora booster “Omnia” will be retired. Omnia suffered from a design flaw in its ejection baffle system. During its maiden flights, the design flaw restricted airflow through the stuffer tube, which caused the flame of the ejection blast to stay in the tube too long. This permanently weakened the walls of the tube. The “stuffer tube” is used to carry pressure from the engine’s ejection charge to the parachute bay . 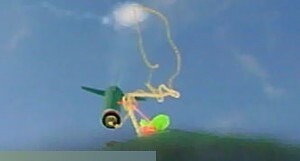 The ejection charge deploys the parachute. The charge is made of black powder (i.e. gun powder). 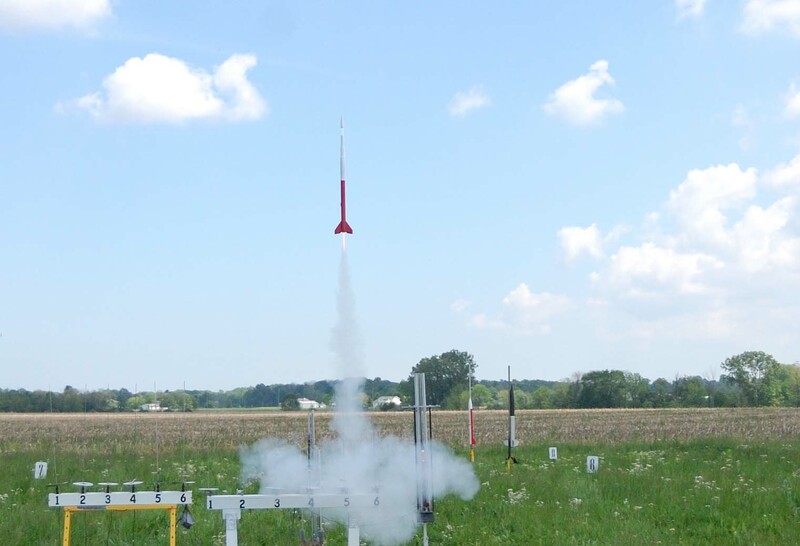 The powder is used to pressurize the tube when ignited at the appropriate time in the rocket’s trajectory. This pressure is used to deploy the parachutes. With each flight Omnia makes, the tube becomes weaker and weaker. I came up with a fix to redirect the gasses around the area, but it is not permanent. It is for this reason that Omnia Rocket will be retired after a few more missions. The Artemis booster “Big Red” (Aurora X5-03’s namesake) had a similar situation caused during the early development of the ejection baffle system used on all of my rockets. Unlike Omnia rocket, Big Red’s design allowed for the possibility of a permanent repair. Big Red II will be painted using the same red metallic finish, and should be ready in time to fly close to the 1 year anniversary of the original Big Red’s maiden flight. By early summer 2011, the final Aurora booster X5-04 should be ready for its first mission bearing the name “Voyager”. This will provide me with three good payload rockets to carry out all the experiments needed to develop technologies and techniques for a Level 1 build by sometime in November 2011. 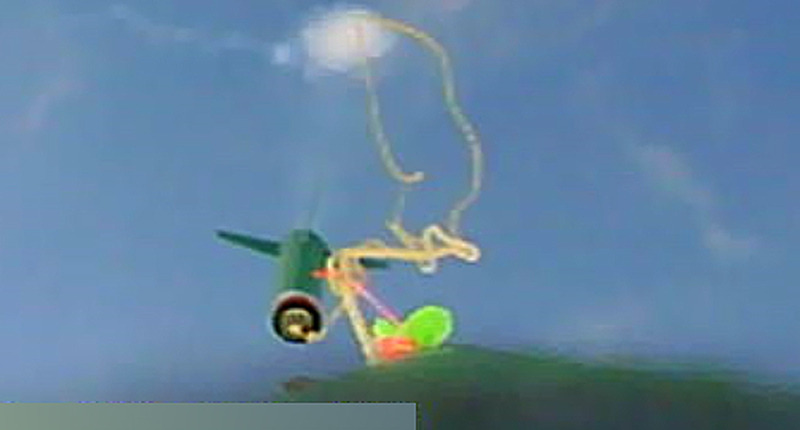 This is a frame capture from the on-board video camera showing the moment of parachute deployment.